Don’t have time to do this now? PIN it for later! This shelf can be made with 3 pieces of wood and minimal tools. It’s super simple. Check it out! Cut your three boards to size. The back, the bottom, and the front of the shelf. You can make these any length you want! 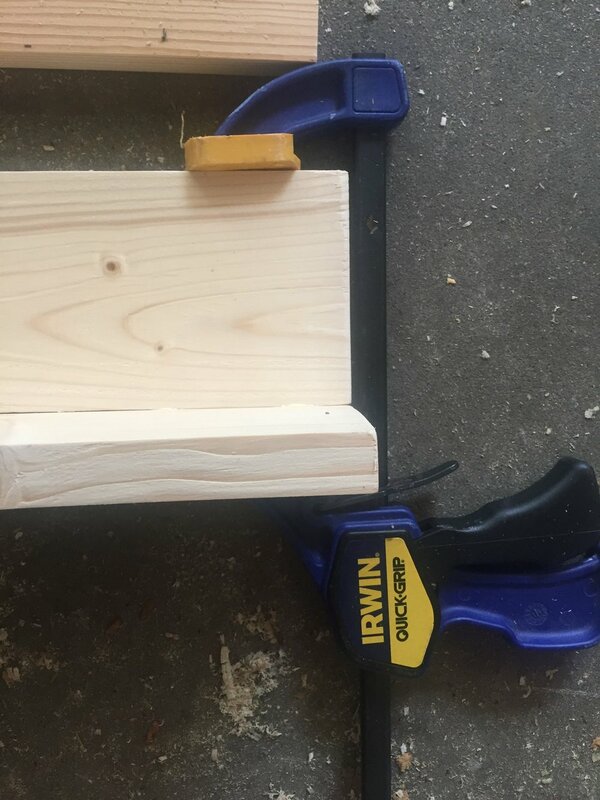 Use wood glue and a few clamps to secure the boards in place. Drill pilot holes in the back of the shelf, then use your screws to secure it. Attach the 1x2 on the front using the nailer. Sand the shelf, wipe off any excess wood glue, and then paint or stain the shelf. Didn’t I tell you in was super simple? This shelf could hold so many different things. They plan to hang the shelf once the furniture is arranged. This shelf looks SO adorable in the nursery with books on it. It would also work in the living room with decorations, in the bathroom with towels or decor, or even in your kitchen! Do you have other ideas for what to do with these super simple shelves?